Temkin Group is a leading customer experience research and consulting firm with one simple goal for its clients: increase customer loyalty by becoming more customer‐centric. The company combines customer experience thought leadership with a deep understanding of the dynamics of large organizations to help senior executives accelerate their results. 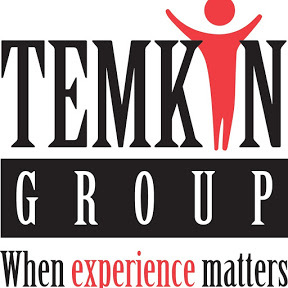 Temkin Group’s consulting services provide organizations with the advice, knowledge, and skills to become more customer-centric. Instead of deploying an army of consultants, Temkin empowers their clients to successfully drive change on their own. They support companies that want to improve their CX and also offer services for CX vendors that support those efforts. Temkin's research offerings include leading-edge practices, trends, and insights. Temkin's reports are available for individual purchase or via Research & Advisory Subscriptions. Temkin Group can deliver highly engaging, entertaining speeches about leading-edge customer experience practices and trends. They regularly speak in front of audiences ranging from small, intimate groups to main stage keynotes in front of hundreds of people. Temkin Group can help your employees build a foundation of the basics, or learn advanced techniques for propelling your customer experience from good to great. Their training includes in-house training programs, open enrollment workshops, and companywide online training.